You don't need to do anything - "Jio Welcome Offer" gets activated by itself. Login to MyJio app and you will be able to see you plan. Nope it didnt get activated. Went to Reliance Xpress store from where I purchased the device. He told me that I need to contact customer care and inform them RSN, IMEI and mobile number and then they will activate it. Normally plan is activated automatically, but sometimes subscriber need to call back customer care. So two of my phones are busy dialing customer care numbers since 2hrs 35min (as of now) and I'm bored of their music. They could have option to shuffle various musical tracks so that person trying to contact them don't get bored to death. Call on 1977 and you will be forwarded to customer care within shorter time. Call on 198 early in the morning 5:30 - 6:30 AM will get through within 10 mins. It will take approx. 2 hours to receive the link and after clicking it though it will say that it has been verified - you will not be able to log in using email as ID. Sign in using 'Skip sign in' in MyJio app. Change your password and log out. Go to www.jio.com using the browser. Login to your account using your number 70XXXXXXXX in place of email. Now if a pop up comes saying verify your email - verify using the OTP sent on your alternate number. If there is no pop up - you can update your email in the profile. Once your email appears in the profile email you can either use your number 70XXXXXXXX or email ID as 'Jio ID' and sign in using the same password. OK ! One should avoid using AVoID as alternate number for OTP for faster results. Jio is throttling their speed. Is this not against Net Neutrality? Download speed depends on several factors such as server load, node etc. and not merely the ISP. So it varies from site to site and while downloading app from google playstore it also depends that how many user are downloading the same app simultaneously from the same download server. Any update on the manufacturer and model no for the same. Does it support all bands, not able to find any details of the same online, wanted to check on the specs. Supports band 3, 5 and 40. Price 2000/- comes with 2600mAh battery. Can connect 10 devices via wifi and one via USB. Difference between this and Mifi2 other than the battery life? Can these Jiofi devices work with any activated Jio SIM or just the one which comes with it? 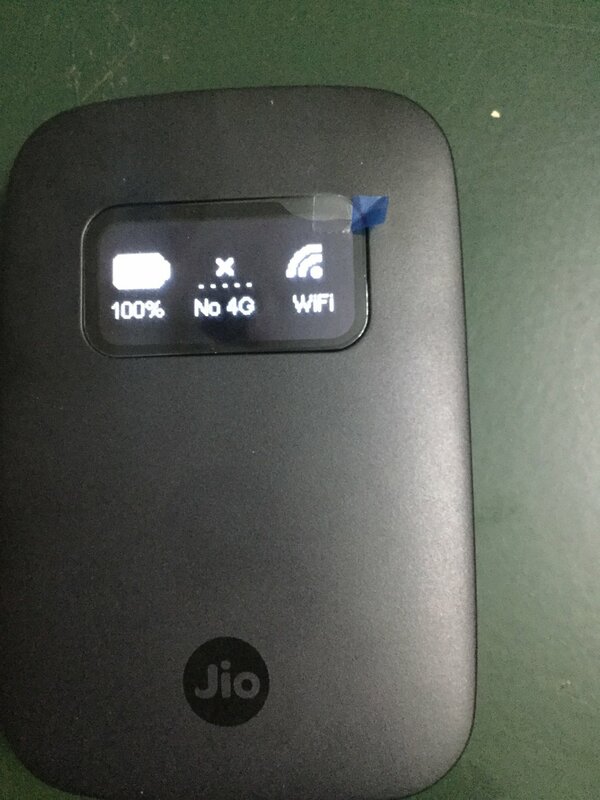 Scenario: Suppose I already have a Jio Sim which I am using on my phone, can I put it in this Jiofi device and use it just for hotspoting the data part? Model no for the device is JMR520 there is a video posted on YouTube for the same. I am facing a real strange issue here. I get speeds between 9-14 Mbps on my laptop android mobile and tablet. But both my iPhone n iPad Air 2 won't hit speeds beyond 2 Mbps on jio mifi. Anybody else facing such strange issue?